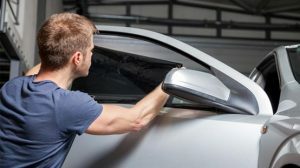 Northside Window Tinting has over 17 years of experience in car window tinting, we strive to achieve the perfect job on any car that comes through our doors. This is why our knowledge and experience takes us beyond our competitors. We use high quality car window tint films, designed and developed by Australians for the harsh Australian conditions. We also offer premium interior and exterior car surface protection to help your car retain showroom appearance.